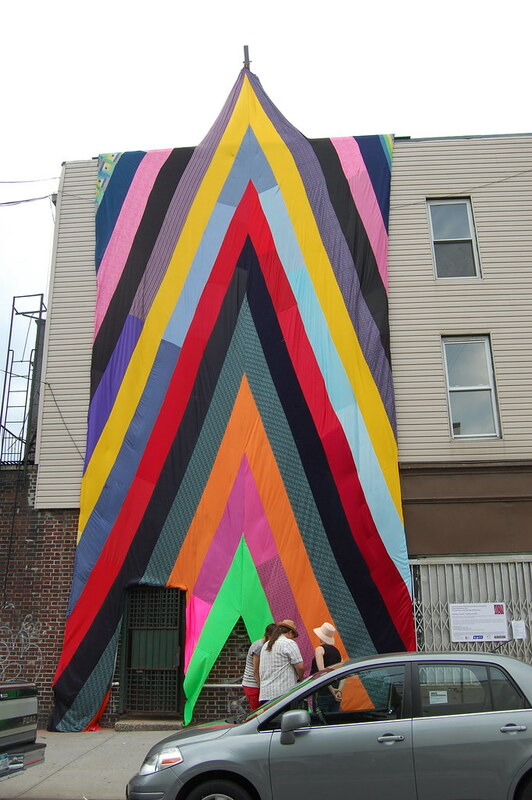 If Jim Lambie and Christo joined up for a collaborative project, it might look a little bit like Amanda Browder's Future Phenomena installation, which graced the side of a building at 1066 Manhattan Avenue, in Greenpoint, Brooklyn, this weekend. 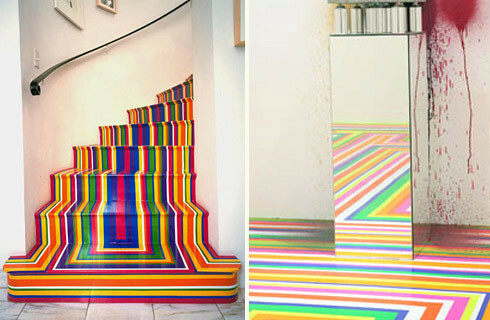 (Thank you to Martin Bromirski for bringing it to my attention.) 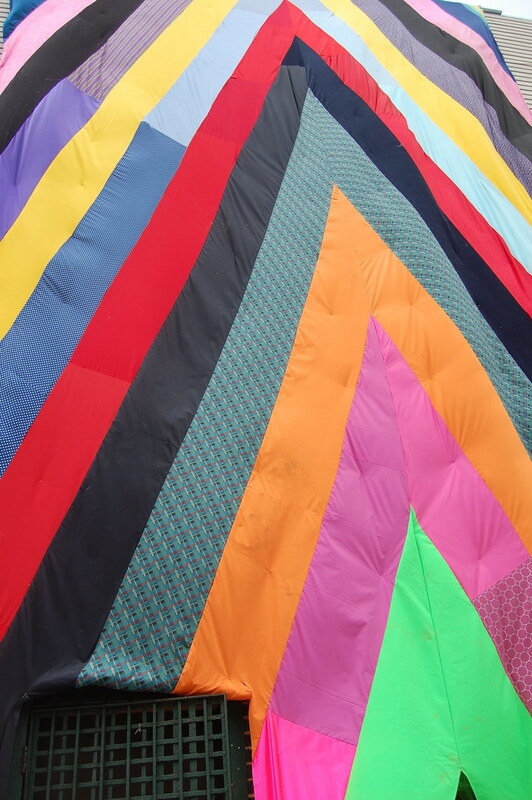 After thinking so much about all the lost murals of the East Village, it was refreshing to be able to encounter a work of public art that can be safely folded up at the end of its run. Visiting Greenpoint to look at art also happens to allow a convenient visit to the Peter Pan bakery, which makes some of the city's most delectable pastries. 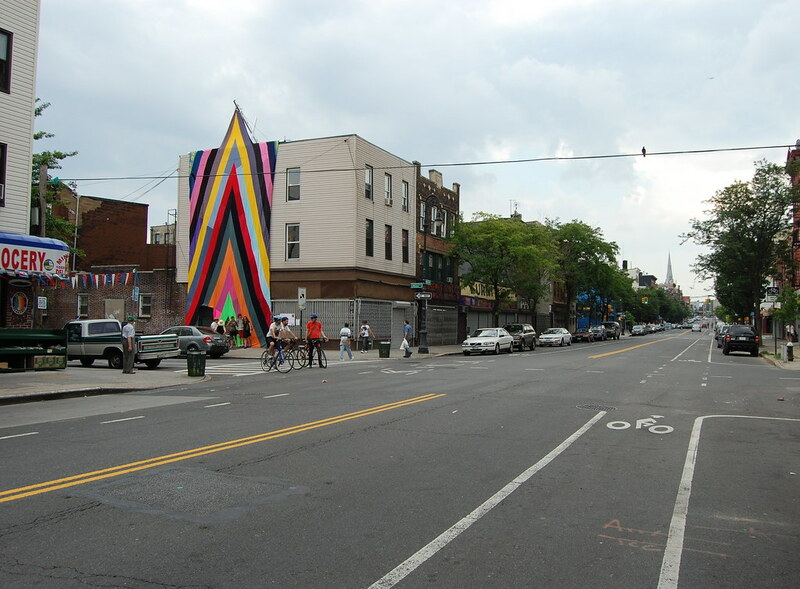 North Brooklyn Public Art Coalition, keep the art coming.